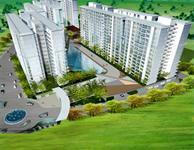 Looking for a property in Ghatkopar West? Have a property in Ghatkopar West? Ghatkopar West is one of the best and centrally connected locality across Mumbai. Having the most reasonable priced properties. Here in Ghatkopar a movie at PVR is Rs..70/- to Rs.100/-, better public transport,bigger roads,better traditional trains,no car parking on streets like BKS- which leads to traffic jams. Ghatkopar West is a very friendly suburb in Mumbai. With the upcoming metro rail and mono rail it will be one of the most well connected areas in Mumbai. It has a balanced mixture of residential and commercial properties. The locality is very peaceful and the people are very friendly. It has some of the best educational institutions, hospitals, parks, and shopping centers in Mumbai. Ghatkopar West, Mumbai is rated 6 out of 10 based on 3 user reviews. Have a good knowledge of Ghatkopar West? Share it and become a Locality expert. Highlife with 2, 2.5 and 3 BHK fully air-conditioned apartments, it brings you a luxurious style of living. Kalpataru Aura located at Mumbai is a residential project developed by Kalpataru Properties.Kalpataru Aura is located on L.B.S. Marg , Ghatkopar (W) , Mumbai. 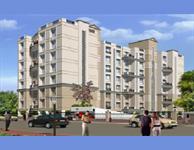 Sanghvi Chandan Park Complex is one of the popular Residential Developments in Ghatkopar West neighborhood of Mumbai. It is among the Completed Projects of Sanghvi Group Pvt Ltd. Apartment in Indrayani Chs Ltd.